That’s it, your element is ready to be found and inspected! Under Xcode > Developer Tools > Accessibility Inspector, you can start inspecting UI elements in your app. Make sure to select your device or simulator in the dropdown. The second way to make sure you identifier is properly setup and accessible with your testing framework is actually to record your journey. 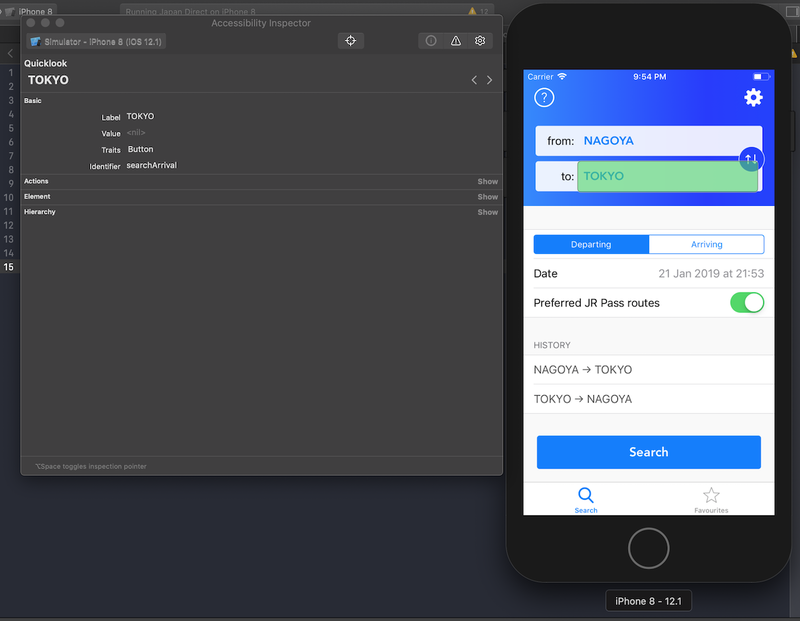 Still in Xcode, after creating a UI testing target, you are able to record a journey in the app. Xcode will automatically generates the test for you: it translates your journey into steps, making an XCUITest ready to use, including the accessibility identifiers. That means you’ll be able to rerun this scenario every time, your identifiers will always be in the picture. 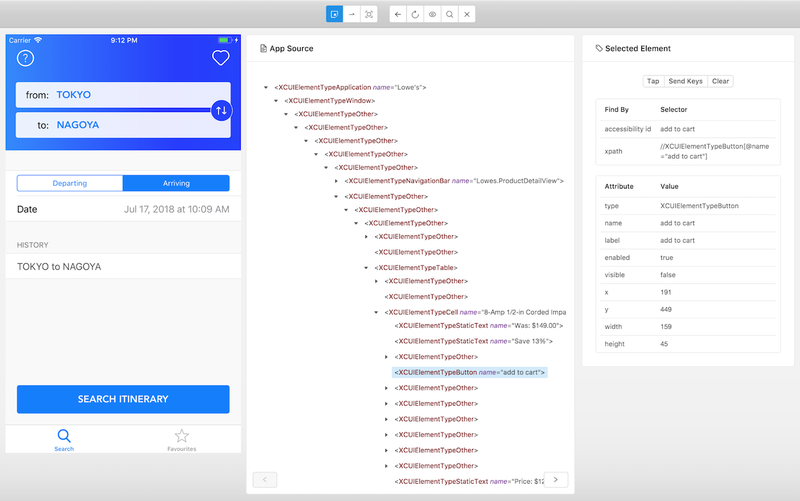 If you use Calabash library as testing framework for your iOS application, there is also a pretty niet way to quickly detect if the accessibility identifier and other elements are ready to get access to. I might not be the biggest fan of Appium when it comes to performance of UI tests , but its inspection tool works pretty good, it can be a good alternative. The process is slightly different, no need to run a target in Xcode. You will need to start Appium Server using an app file previously generated and the inspector will do the rest. Why do you need all this tools? UI Automation testing is a really good way to keep high quality of your app but it can be time consuming. There are some edge cases in iOS that you would prefer having covered, especially native components like the remote notification permission or review request popup from SKStoreReviewController. Now you have many ways to make sure your iOS app is ready for your test, keeping the user experience at its best.